It is a job title many are actively aspiring to. For some, their ascension to influencer greatness is quick and large and spurned on by some viral photo or video shared across countless platforms. The average influencer works at their craft as meticulously and consistently as any aspiring professional –they are calculated with their movements, they are conscientious with their choices, they are educated about their field, and they pick their partnerships with care. A lot goes into the development of their influence and they are protective of it at every turn. 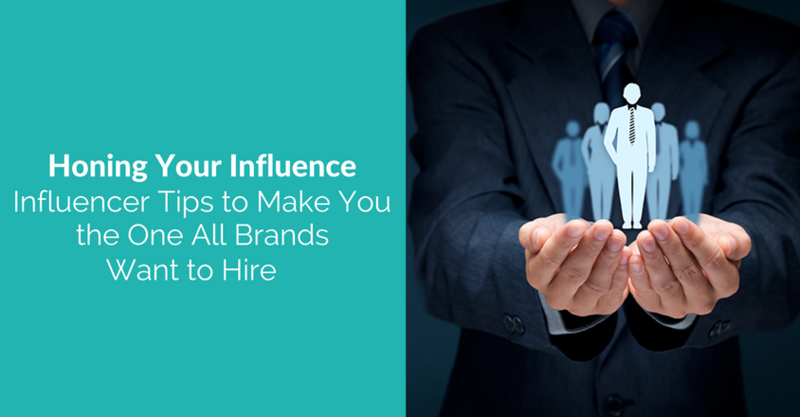 Looking for sure-fire ways to make the invite list and get the gig when it comes to hiring influencers? These tips can help you get there. Deliverables are an integral part of any influencer campaign. The key messaging the brand has hired you to bring to life is as important to their bottom line as your compensation is to yours. Stay true to it. Meet the requirements –include the messaging they provided you with, provide edits when asked, publish when you’re expected to, and promote as agreed upon. This doesn’t mean to sacrifice your voice, provide countless edits, or uncompensated promotion. This means the opposite in fact! The brand wants your voice to deliver their message under the terms of your agreed upon contract. And remember, communication is key to every relationship and that includes the ones you’re in because of your online influence. If you’re expected to put up an Instagram post or attend an event, make every effort to do so on time and as expected. Of course, things come up from time to time, but standard professionalism says you pick up the phone and call or shoot your contact an email just to say something came up and you need an extension. Because once you start charging for your services, that is what you are. Doesn’t matter if you have another job, doesn’t matter if you’re also a mom, if you’d like to be hired, as a professional influencer, you have to act like one. That means meeting deadlines, responding to emails, negotiating contracts, knowing your space, and behaving like you mean business –because ultimately, you do! Your content, your imagery, you! 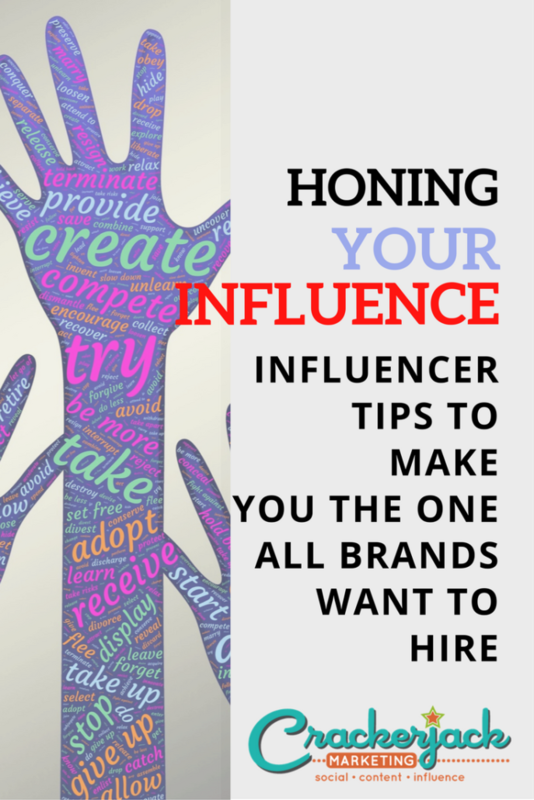 Of course, reach is important when it comes to being an influencer, but engagement plays a major role too. A brand wants an audience that’s listening, one that is talking back, one that is a part of the story that you are bringing to life. Take time to interact with your audience in meaningful ways. Get to know them, what they want, what they like, and what they respond to. Then, when you bring a brand into the equation, your audience will be there for it. Authenticity, authenticity, authenticity –it’s like the location of real estate. It’s how you encourage engagement, how you grow your audience, how you differentiate yourself as unique in the sea of influential voices. And being authentic doesn’t mean being an open book –it means speaking your truth, sharing your story in a real way, and putting yourself into your content. What your audience responds to is maybe not going to be anything like what another influencer’s audience is here for. Even if you’re in the same genre, connecting to the same demographic, what your audience expects from you is possibly not what that same audience expects from someone else. You have to learn that. And then, you have to figure out the best way for a brand to become a part of that conversation. Brands love it when influencers take their basic idea and make it magical. Going above and beyond certainly isn’t a requirement, but if you want to stand apart, make an impact, and ensure that you are first on the list for their next activation, give them something memorable. Your best photos, your best storytelling, a new idea, an awesome video. All of those things make a brand think you’re worth the investment, and maybe more! 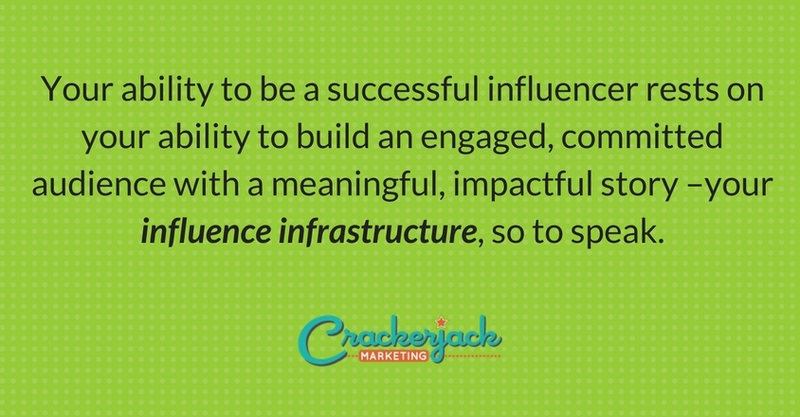 Your ability to be a successful influencer rests on your ability to build an engaged, committed audience with a meaningful, impactful story –your influence infrastructure, so to speak. Work on the infrastructure and your road to success will be paved!